All about Mahindra Xylo ✓ Specification ✓ Exterior ✓ Interior ✓ Mileage ✓ Color ✓ Features ✓ Price ✓ Comparison. Launched in 2009, the Xylo soon became one the top-selling Mahindra cars in India. Though the its sales started dropping later on due to rising competition in the segment. So to remain in competition, Mahindra updated the MUV (Multi Utility Vehicle) in 2012 and 2014. The new model received few exterior and interior updates and a tweaked suspension for better ride quality. The Xylo can be a value-for-money offering as it provides space and comfort that few others can match for the price. 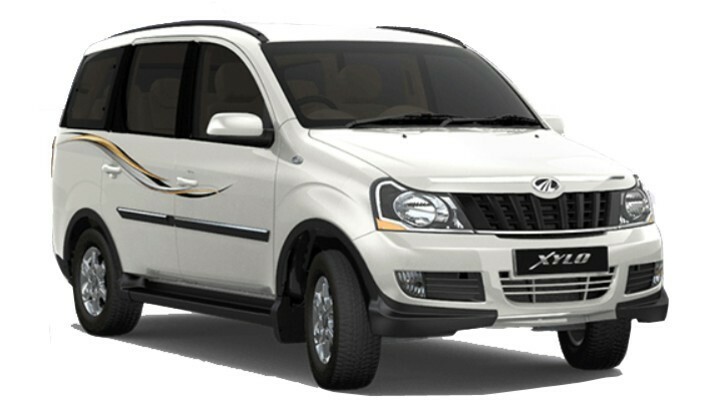 Mahindra Xylo is available in two diesel engine options – a 2.5-litre mDI CRDe and a 2.2-litre mHawk. The 2.5-litre mDI CRDe engine churns out a maximum power of 93.7bhp at 3600rpm with a peak torque of 218Nm between 1400rpm – 2600rpm. The 2.2-litre, mHawk CRDi engine produces a maximum power of 118bhp at 4000rpm, while yielding a peak torque of 280Nm between 2400rpm – 2800rpm. Both the power-trains are coupled with a 5-speed manual transmission. The new model, with minor exterior updates, resembles its predecessor. However, with new chrome strip on the hood, roof rails, new alloys and new body decals, it manages to look refreshing and more outgoing. At the rear, it gets a new tail gate with a chrome garnish and slightly modified tail lights. The muscular features of Xylo give the car great road presence and the proportionately sized rear view mirrors and wrap-around taillights add to its appeal. Inside the Car, Interior is now more comfortable, feature-rich and premium. It sports new dual-tone (black and beige) dashboard, new leather upholstery, revised instrument cluster, 2-DIN audio system with Bluetooth connectivity and steering mounted audio and cruise controls. Apart from, Xylo has sufficient legroom for all its passengers and is also the only car to offer flatbed front seats, just like in the business class of a world-class airline. Maruti cars discount offers on festive season Navratri to Dussehra.